A rider in the 50 mile Durango Dirt Fondo rides down Ball Avenue in Durango Saturday morning en route to the next dirt single-track before ending the ride at Buckley Park. 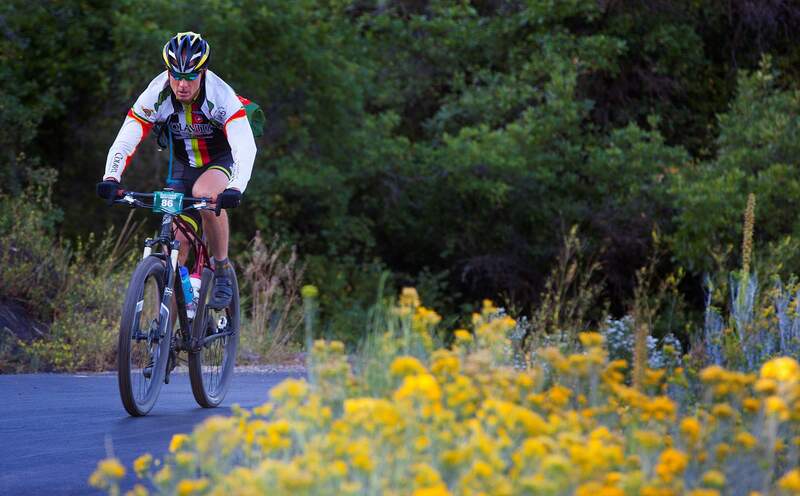 Durango’s Benjamin Sonntag took part in the 50-mile ride of Todd’s Durango Dirt Fondo. 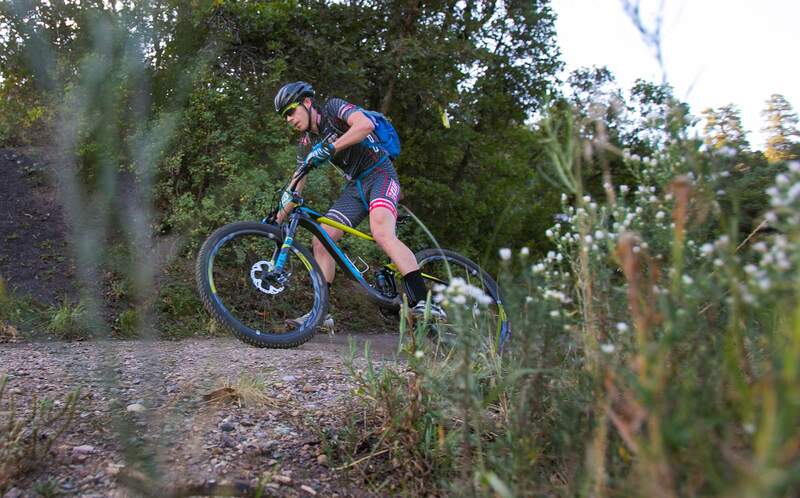 He was one of several pros to join three-time Olympian Todd Wells on the community ride event that corresponded with the Trails 2000 Happy Trails Festival at Buckley Park.